Srila Prabhupada visited Simhachalam during his stay at Visakhapatnam, The following is an excerpt from Srila Prabhupada lilamrita. “One day Srila Prabhupada took his disciples to see a famous temple of Lord Narasimha, Sri Simhachalam, on top of a hill about five miles north of Visakhapatnam. Thousands of stone steps led up the hill to the temple, which was situated in a natural amphitheater on the side of the hill. 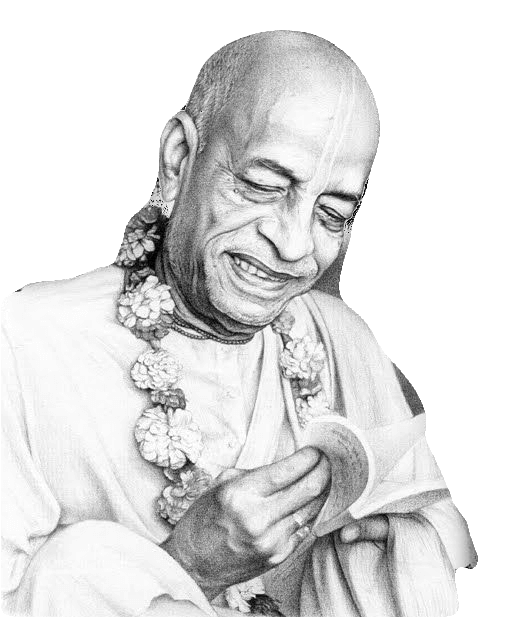 Prabhupada said the temple, which was now run by follow ers of the Ramanuja sect, was particularly important because Lord Chaitanya had visited there on His tour of South India. Srila Bhaktisiddhanta Sarasvati Thakur visited Simhachalam in 1905 and again in 1930. In order to commemorate the visit of Sri Chaitanya Mahaprabhu to Simhachalam, on 27th December 1930, Srila Bhaktisiddhanta Sarasvati Maharaj had footprints of Sri Chaitanya Mahaprabhu made there. One can take darshan of the footprints here. Lord Shri Chaitanya Mahaprabhu visited Simhachalam in 1510 AD, dur-ing his tour to South India. The famous Darshan Arati Song of “Sri Narasimha Jaya Narasimha….” was sung by Lord Chaitanya Mahaprabhu in this place. In Madhya Lila 8.3-8.9 of Chaitanya Charitamrita, we find a great deal of information about Lord Chaitanya Mahaprabhu’s visit to ilyada – Narasimha Kshetra or Simhachalam. All the prominent acharyas like Madhvacharya, Ramanuiacharya visited this holy shrine and paid tributes. 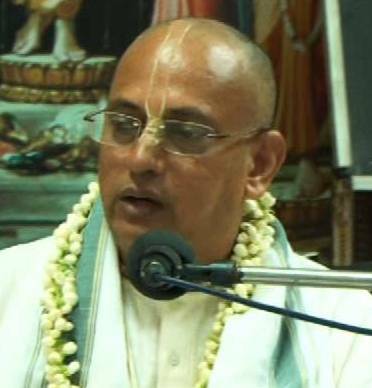 It is said that Rarnanujacharya had reintroduced the standards of worship that are continuing to this date. It was also visited by almost all the Alwars , it is also considered as part of 108 Divya Deshams of Sri Vaishnavas.